BATON ROUGE, La. (AP) — Tremont Waters had 19 points and 10 assists and No. 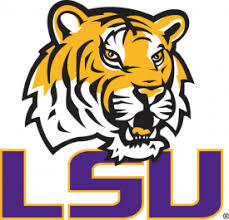 21 LSU overcame a sluggish start to beat Auburn 83-78 on Saturday. Harper sank five of Auburn’s 16 3-pointers, his last with 31 seconds left to trim LSU’s lead to 79-76. LSU then turned the ball over on a 5-second violation, and Auburn made it 79-78 on Chuma Okeke’s layup with 26 seconds left. After Mays hit two pressure free throws, Harper’s heavily guarded 3 for the tie missed. Auburn corralled the offensive rebound for one more chance, but Bryce Brown appeared to be hit from behind as his 3 missed. Auburn coach Bruce Pearl screamed and gestured at officials, pleading for a foul call he never got, and Waters sealed it with two more free throws in the final second. But LSU held Auburn scoreless until halftime and pulled to 41-38 on Waters’ right-side 3 as time expired.